Sustainability is today’s trend in many business sectors and consumers are increasingly becoming aware of the concept. In the corporate world, sustainability has become a buzzword in both small and big corporations and as a result many companies today have integrated the concept of sustainability into their corporate policy. As a result of this awareness, many other corporations are increasingly becoming aware of this concept and see the need to set aside resources to show how they plan to commit and deliver their goods and services in a sustainable manner. Sustainability is a concept that helps individuals or businesses to focus on meeting the needs of the present without compromising the ability of future generations to meet their needs. As such, the concept of sustainability integrates into its implementation what is referred to as the three dimensions of sustainability, i.e. economic, environmental and social. Informally, these pillars of sustainability: economic, environmental and social are commonly known as profits, planet and people. The idea of sustainability is all about balance and corporations are guided by a strategy that not only focuses so much on short-term profits without long-term considerations that will affect future generations. Going solar has become one way that companies as well as individuals are showing that they can go solar without comprising the needs for future generations. According to CNBC, many corporations in the United States have invested heavily in going solar with the top corporate users adding up to 325 megawatts (MW) of installed capacity in year 2017. According to “Solar Means Business 2017 “ – a solar report published by the Solar Energy Industries Association (SEIA), going solar by American corporations such as Target, Walmart, Apple, Kohl’s, Costo, Wholesale,IKEA, Macy’s , Amazon.com etc have installed solar power that can produce enough electricity to power 402,000 U.S. homes and that has a potential to off-set 2.4 million metric tons of carbon dioxide each year. When it comes to going solar and sustainability, solar is a sustainable source of energy because it is renewable resource that comes from the sun, as opposed to non-renewable energy sources, such as fossil fuels, which are finite. Solar is abundant in nature and is an inexhaustible resource, meaning a resource that is present with unlimited amounts in the nature and that cannot be depleted or exhausted by human activity. As such there is more than enough solar power to provide for all the energy needs of the planet even as the population continues to grow and since it is not a fossil fuel based technology, solar is good to combat climate change. However, applying a system thinking approach such as life-cycle assessment of solar panels (solar PV), no form of energy really emits zero emissions, because the manufacturing, transportation and disposal of solar panels will eventually emit some form of carbon emissions to the atmosphere. Although, life-cycle tools can be used to compare and contrast among the different types of energy technologies to determine which one has a better environmental performance than the other. For instance, the National Renewable Energy Laboratory (NREL), one of the U.S. Department of Energy’s national energy laboratories, in the past has conducted life-cycle assessments (LCAs) of electricity generation technologies for wind, concentrating solar power (CSP), crystalline silicon and thin film photovoltaic, geothermal, ocean energy, hydropower, coal, natural gas, and nuclear. From the published results of these LCAs, the data showed that life cycle greenhouse gas (GHG) emissions from technologies powered by renewable resources are generally less than from those powered by fossil fuel-based resources. The central tendencies of all renewable technologies are between 400 and 1,000 g CO2eq/kWh lower than their fossil-fueled counterparts without carbon capture and sequestration (CCS). Solar PV also when it comes to the other dimensions of sustainability, including social and economics, it has shown to create jobs, save money for companies and individuals and since it does not emit carbon emissions when in operation, it is seen as good for sustainability during its life-span. Solar PV has a life-span of between 20 to 30 years. Installing solar panels in your home or business can help to off-set your energy bill from anywhere between 10% to 100% depending on what system size you install on your rooftop or facility. Today with the emergence of online tools, you can get instant estimates obtained using LIDAR technology to determine the benefits of going solar in-terms of costs, savings and environmental benefits. 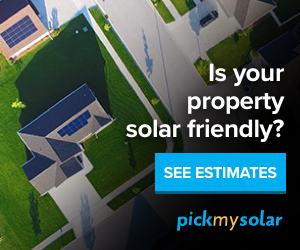 A solar panel cost calculator from online solar marketplaces like EnergySage and Pick My Solar is a great tool as it provides you with data and information to help you decide is solar worth it comparing your system costs versus the benefits of going solar.